Delhi, the beautiful capital of India, is home to everything that a city usually has, along with monuments, historical places and more that adds to Delhi's rich heritage. While living in a city like Delhi can be one of the best experiences, the busy city life can get to our nerves and needing a quick break from everything is common. If anytime you've come across this feeling, fret not! Delhi is encircled by fantastic places to visit that can lift your spirits in no time. 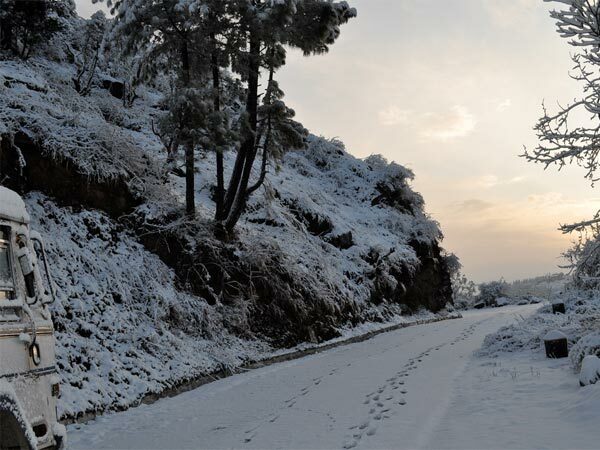 Himachal Pradesh, the state with some of the most magnificent vacation destinations, is also home to a quaint little offbeat hill station called Shoghi, which is located just about 16 kilometres from Shimla. You can also visit the mesmerising Shimla hill station and extend your getaway. Since Shoghi is a hill station, it can be visited all through the year and the climate will be pleasant or chilly. However, the best time to visit the place is between March to June for a balmy weather and for those who thoroughly enjoy chilly climate, September to November is the time to visit. It might even snow during this season so it is advised to carry woollen clothes accordingly. Bus services are available from Delhi to Shimla frequently, which sometimes go to Shoghi but otherwise, taxis can be hired to travel till Shoghi. Read on to know about the places to visit on the way. While you might've heard of the three major battles of Panipat during your history classes, Panipat is not only significant for these battles that took place during the Mughal period but it is also believed to have been established by the Pandavas from the Mahabharata. Visit Panipat Museum, Kala Amb Memorial, Kabuli Bagh Mosque, etc. to get a clear insight of the ancient town's history. Similar to Panipat, Kurukshetra is a place that plays a major role in the stories of the Hindu epic Mahabharata, since it is the place of the main battlefield. It is also the place where Lord Krishna helped Lord Arjuna through his dilemmas and made the infamous Bhagavad Gita. Sthaneshwar Mahadev Temple is a beautiful temple that has an idol of Lord Shiva placed in the middle of a holy kund or tank. Bhadrakali Temple, Sheikh Chehli's tomb and Brahma Sarovar are some other places of interest in Kurukshetra. Although a little off-track, you can visit the beautifully planned city of Chandigarh that is dotted with places for entertainment. Relax in the Leisure Valley, witness the artistry of Nek Chand in the Rock Garden, try boating in the Sukhna Lake or just unwind in the many gardens of Chandigarh, such as the botanical garden, rose garden, etc. Perched on the Tara Parvat, Tara Devi Temple is one of the main attractions of Shoghi. It is dedicated to Goddess Tara, who is an important goddess for the Tibetan Buddhists. The idol of the goddess installed in the temple is made of wood and locals believe that it was brought by a king of the Sen dynasty in West Bengal. The Kali Temple of Shoghi is located in the depths of nature's pristine beauty, with pine trees surrounding the temple and having a fantastic view of the Shivalik ranges of the Himalayas. The temple is believed to be 150 years old and is dedicated to goddess Kali. Apart from being a place of spirituality, the temple is a haven for photographers and nature lovers as well. Shoghi has a few other beautiful temples, too, so you can first indulge in a spiritual tour through the town. Trekking, camping in nature and other such exciting activities are usually offered by resorts or different services in the town that you can try. During winter, you may even go for skiing. While you're at the town, don't forget to try out delicious pickles, syrups, juices, etc. that are made out of the locally grown fruit produce.